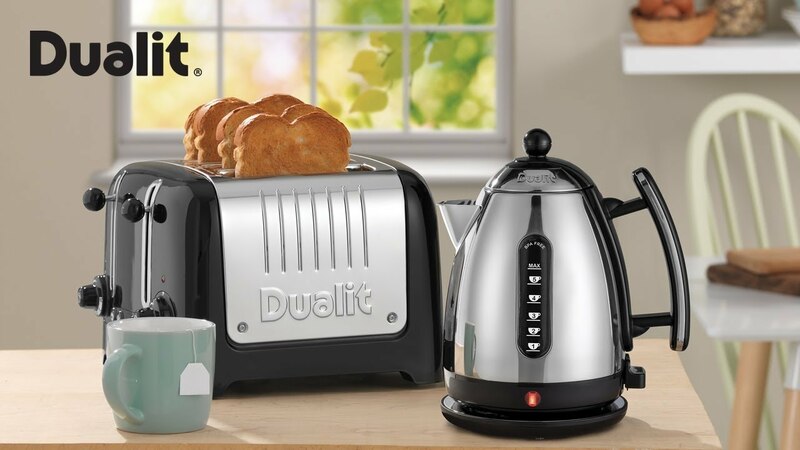 As stylish as it is functional, Dualit's Lite Kettle is an easy to use, upright kettle with a smooth, pouring action. With handy cup level and litre indicators you'll always boil just the right amount and the powerful 3kW element ensures it will boil quickly. The hinged easy-fill lid has a large heatproof knob with finger guard whilst the oversized spout ensures spills are a thing of the past. The 1.5L Jug Kettle is available in three colours, Black, Canvas White and Apple Candy Red. The compact Lite Kettle uses a powerful 3kW element for a faster boiling time. The element is concealed in the base of the kettle, away from water contact to reduce limescale damage. The boil-dry safety feature stops the kettle boiling if it's empty. The BPA free viewing windows feature a cup level indicator on one side and the other side measures the water in litres. Fill the kettle with just the right amount of water you need to boil, down to just one cup, saving time, energy and water.